Apple devices are most used for the widely available applications they support. The App Store has countless applications compatible with iPod Touch, iPhone, and iPad. Many of these applications are free. Sometimes these applications simplify the user’s everyday tasks and at other times they aim at entertaining the users. This second type is usually composed of games. The App Store features many free games. However the most enjoyable ones (and the most popular ones) are games which Apple device owners need to buy. 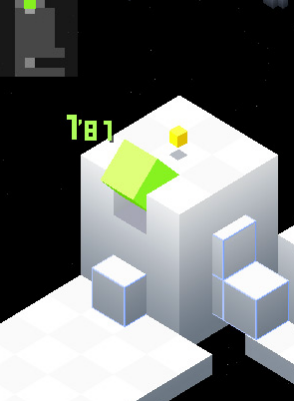 Edge is one such highly popular game on the App Store. The objective of the game is simple yet a lot of fun: we are given a cube which we have to push into position. 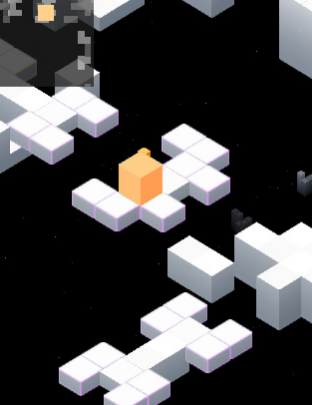 The environment we are operating in the game is a geometric universe that makes placing the cube into position all the more difficult. The concept of the game is truly original and has provided many player with a lot of fun. Edge is compatible with iPod Touch, iPhone, and the iPad. The OS requirement is quite basic: iPhone OS 2.1 or later. Currently the game is celebrating its recent return to the App Store. This celebration is in the form of a discount on its purchase. To be exact, the game can be purchased currently on a 80% discount for $0.99. That price for such a wonderful game is definitely economical. Click here to visit Edge on the App Store. Assassin’s Creed II Multiplayer for iPhone Released, Free for 48 Hours!! !